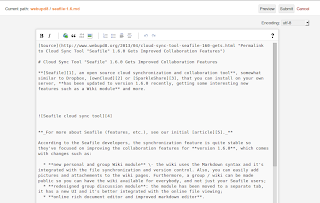 Seafile is an open source cloud synchronization and collaboration tool which you can install on your own server. 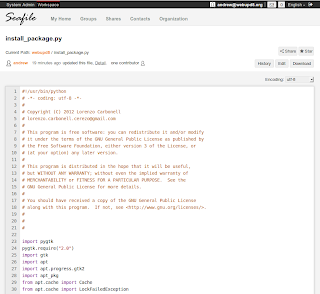 The tool uses a version control model somewhat similar to GIT but with some differences such as: automatic syncing, no history stored on the client side so the data is not stored twice (GIT is not efficient with large files), resumable transfers, more user-friendly file conflicts and more. clients available for Windows, Mac OS X, Linux (for both the desktop and command line), Android and iOS. improved server backup/restore - a detailed guide on how to backup / restore the Seafile server can be found HERE. It's also worth mentioning that even though Seafile 2.0 is in beta, it's quite stable and ready for use, says its developer. 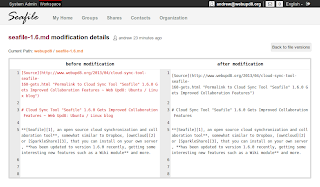 Before installing Seafile on your server, you can give it a try by using THIS online demo. 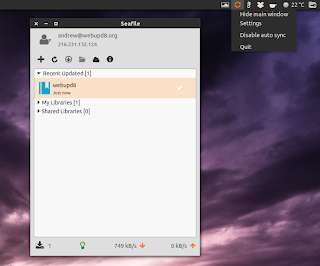 The Seafile server for Linux runs on Debian, Ubuntu (11.10, 12.04), Centos 5.8, 6.0+ and Raspberry Pi and is very easy to set up thanks to a script that does everything for you. For the server installation instructions, see the Seafile wiki. For upgrading the Seafile server, see the instructions from HERE. Download Seafile server / clients (clients available for Windows, Mac, Linux and mobile: Android and iOS).